Laphroaig is not new to NAS releases, although this is the first addition to the core range of Laphroaig in awhile. The official back story for the Select (why does every new release need a back story these days?) is that the last distillery manager when Laphroaig was family-owned, Ian Hunter, was among the first to utilize ex-bourbon barrels in the maturation of single malt. At the time, Laphroaig would have been primarily aged in used (and reused) European oak wine and fortified wine (sherry, madeira, port, etc.) casks. Somehow that translates to a new Laphroaig release containing a mixture of Laphroaig matured variously in – get this – oloroso sherry, PX-seasoned hogsheads, new American white oak barrels, quarter-casks, and first-fill ex-bourbon barrels. Apparently several recipes were made in different percentages of each wood type and Laphroaig fans voted on their favorites. I missed that part, but the chosen recipe is this one. Select has no added color but is probably chill-filtered (I say this because they emphasize the no-added-color thing, but don’t mention the filtration), and is bottled at the bare minimum 40% ABV with no age statement. I definitely wish they’d used a little less water, as 43% or 46% would have enabled this to stand up a little taller in comparison to the older and more-robust Laphroaigs in the lineup. Thanks to Dave E. for kindly sending me a sample from his bottle. Thanks, Dave! Nose: Definitely Laphroaig – a sweet, spicy balance of ocean brine and beach bonfire smoke. Youthful, with a slight vegetal (grassy) quality verging on mezcal. The malt content seems sparse, without much foundation. Very little fruit, perhaps jarred strawberry jam. Palate: Medium body. Slight lemon peel, heavy briny peat. Good malt-peat balance, with just enough grain-based sweetness. There is a streak of dried, jammy fruit running through it, but so mild I might have missed it. Indeed, during my first pass I didn’t think it was sherried at all. Finish: Long. Slightly bitter, and the youth shows through with green grass and that odd tequila-like vegetal note. Lemon again, and mild red fruits. Fades with iodine and Band Aids (cresol). 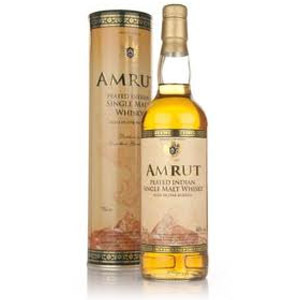 With Water: Water seems to dull the aroma, muting the peat. It brings out even more lemon on the palate, and some additional sweetness. Skip the water, especially at this proof. Overall: This runs in the same vein as a lot of recent NAS releases. They are marketed as having something special – partial sherry maturation (in this case), or partial finishing, or some unique barrel treatment, etc. – in order to get you to forget that the NAS label means they’ve dumped some younger barrels into the vatting, and on average is certainly going to be younger than the 10 year-old flagship (I have no information on the age of this, and my raw guess based on indie bottlings of younger-than-10-year peated malt, would be something like 6-7 years on average). Unlike a lot of those NAS releases, however, this one can be found for less money than the 10-year (IN SOME PLACES, see note below). This means it can be thought of as a compromise on the shelf: less money for less aging. It has the correct balance of lightly malty sweetness with briny seaweedy peat, but lacks a little dimension compared to the 10 year-old, and has a few minor youthful vestiges that come across as grass and tequila, but luckily not acetone like some young malts. Eminently drinkable, but the promised sherry is very, very far in the background. If you like Laphroaig or are curious about peated single malt scotch, and are willing to give up the “10” on the bottle in exchange for a refund at the register, you probably won’t be disappointed. Just don’t go here looking for an upgrade, and don’t spend more than $40 on a bottle. NOTE: In some markets, Laphroaig 10 is still under $40 a bottle. In those markets, Laphroaig Select does not offer much of a discount, and you should go for the 10 instead. Acquired: (Sample) Courtesy of Dave E. Thanks Dave! Tirade or not (and serious or not), NAS stands as the rot at the center of whisky thinking: there is simply no way that age is “irrelevant” to whisky, much less that its relevance can be magically and selectively switched off depending upon a label to help someone’s profit margin – and “experts” who won’t denounce this sham really shouldn’t be trusted on the subject of whisky. I really like this expression of Laphroig. Its a good starter to the heavy peat. Plus it wasn’t a bad price either. I’m sure the next one will either be the quarter cask or 10yr old. Kudos to the Noob here for the way he’s presented his age guesses. And what a great takedown of the backstory! I hadn’t heard that yarn before about the ex-bourbon barrels. The story itself sounds dodgy, but its connection to a modern mystery-meat Laphroaig aged in all sorts of random barrels does indeed test our credulity! This whisky seems like the obvious product of “We need a cheap Laphroaig—details TBD” thinking in a marketing department one day. Nice review. 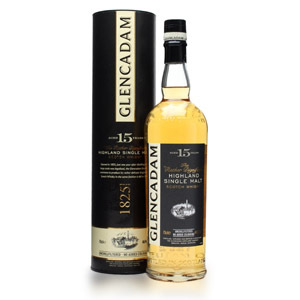 I did an overview of this dram over on my blog if you’re interested. I agree that there is some secrecy and shenanigans surrounding NAS (I addressed that in another blog post) but this one is decent, imho. Here in Ontario, Select runs about $20 cheaper than Laph 10. The Quarter Cask, which I really like, has gone up in price to an obscene degree in the last year. It used to sell for about $18 less than the 10, and is now priced within $3 of the Ten, which has stayed fairly consistent, price-wise. But that’s our crazy situation in Ontario. Cheers. Joel, usually I kind it mildly annoying when people plug their own blogs, but yours looks like it has plenty of personality and is worth a plug. I’m going to put you on my regular blog rotation. Thanks. 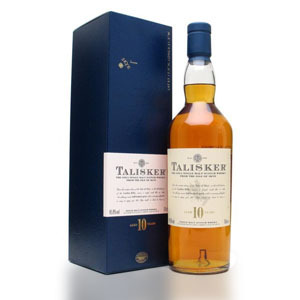 On the pricing of the QC v. the 10: Anyone who doubts that retail prices are a HUGE driver of an item’s perceived quality should compare opinions on the two malts from people in different markets. If I were still in business school, I would choose this topic for a thesis or something. •In markets where the 10 is cheaper, people say things like “That QC has a lot of extra punch and is totally worth the premium over the 10.” That initial price difference completely influences our perception of which one is supposed to be better. Now those two things are obviously related. That said, I find Select pleasing to my palate, and you’re right: pricing has a lot to do with it. I used to buy QC when it was cheaper, but as the price rose, I stuck to the Ten, as I enjoy it more. I’ve spoken to friends in Australia, where the QC is more expensive than the 10 and I’ve advised them to stick with the 10. One of my Aussie friends ignored my and regretted his decision. He must have been taken in by the phenomenon you described (i.e. “it costs more, so it MUST be better”). I learned awhile back that more money does not equal better scotch. But markets differ: I have to check an author/blogger’s location when I hear something like “Balvenie 12 Doublewood is a great value for the money”. Uhm, no it’s not. At least not here in Ontario. The DoubleWood sells for $100 which is, imho, about $25 over where it SHOULD be priced. I’d certainly agree that NAS has been embraced to premiumize young product where premiumization can’t be justified by product age/level of producer investment (the pricing shenanigans). I’d also agree that NAS can’t be defended on the basis of the need for “secret recipes” or the constant confusion between multivintaging (a process) and simply withholding minimum age – forget complete disclosure – through NAS (which is just a labeling choice). I think most people, however, have simply missed the boat on the most fundamental point – NAS simply can’t be true, not in what it says about marketing, but in what it says about whisky: there is simply NO WAY that age is relevant to one expression but, if age information is withheld from the consumer, age suddenly, magically and selectively becomes “irrelevant” to another (or even the same) expression. 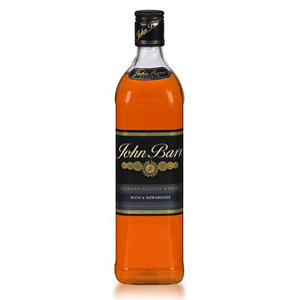 That no whisky CAN owe its perceived quality to a labeling choice is a rather obvious point related to this, but still one that many miss as well. And nothing demonstrates this more in recent times than NAS. I’m confused as to how age “doesn’t matter” when talking about a colour-coded malt (gold, amber, sienna, ruby), yet somehow it matters greatly when asking $2000 for a “25 year old Sherry Oak single malt”. I call shenanigans. I agree that Macallan’s position is needlessly more complicated than that of other producers: according to Macallan, there are whiskies for which age mattters, whiskies for which age doesn’t matter and whiskies for which colour matters but age does not. I don’t think that leaves other producers in the position of being “more truthful” about age than Macallan; the former have a more streamlined story than the latter, but neither is telling the truth. I understand people liking the relative value of some NAS products, but it’s a rigged game that they’re buying into: what’s being offered is a false trade of age info FOR value while one of the goals of NAS IS to premiumize young stock that otherwise wouldn’t command its current price if age WAS known. In their heart of hearts, a lot of people want to believe that much of NAS is like Compass Box’s 3 Year Old Deluxe: mostly quality aged stock with a teaspoon of younger stuff that magically not only “ruins” the age statement but is also the tiny “secret ingredient” that makes everything taste oh SO much better. As I’ve recently said elsewhere, if anyone has convinced them that NAS is largely a delivery system for cheaper older whisky as opposed to more expensive younger whisky, they’ve been taken. I agree with the theoretical, and practical, benefits of mulitvintaging but, in general, I think that this “teaspoon of younger stuff means they can’t tell you how old it is” as a defense for NAS is mostly fantasy – just like JW Blue Label is anything like 60 years old according to The West Wing. Young has become the new “good” – at least some of the time -because young is what the industry can provide en masse and “good” is what you traditionally expect to pay more for. I think we’re pretty much on the same page, Jeff. I don’t buy NAS whiskies. I’ll give my opinion on its taste when asked, and I obviously accepted a gift with grace. But the more opinions one reads from industry spokespeople (salespeople?) the more apparent it becomes that NAS is a marketing gimmick to overcharge for young whisky. I do enjoy this blog. Posts and comments. I drink scotch everyday. Generally on the rocks with a healthy splash of water. That said, I must admit my two standbys are Cluny and Bowman’s. Such is the reality of a daily scotch drinker on a poor man’s budget. Suffice to say, there are no reviews of either on this blog. Yesterday, I bought a Laphroaig 10 for $51, the going rate in my neighborhood. About a dozen scotch varieties are all that’s on the shelf here. The Laphroaig NAS is not one of them. I must say, unless the NAS is half the price of the 10, I wouldn’t want to ruin what the name “Laphroaig” does for me. I’m not steeped in verse as everyone here, but I do find myself with an opinion every now and then. I hope my participation is acceptable to all. I enjoyed this one. For about $10 less than the 10 yr old here in NC, I went in expecting Laphroaig Lite and that’s what I got. I love the nose on this. Funny how different peoples palates can be. To me this has tons of sherry influence. Not a bad pour when you want Peat, but not PEAT. I have always liked the Laphroaig 10 and when the Quarter Cask appeared on the scene (also an NAS by the way) I was equally impressed, the QC being a little rounder and sweeter than the 10 but importantly at a higher alcohol (48% to 40% if I recall). 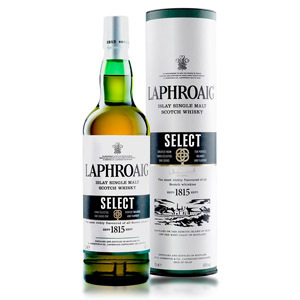 I came across the Select, yet another of Laphroaig’s NAS whiskies (Lore, Triple Wood, PX, and another that escapes me), when I had no idea of what it was supposed to be but soon came to know of the passionate discourse across the interent that surrounded it as alluded to by Joel. I bought a few bottles as they were quite a bit cheaper than the QC and the 10 (mispriced as I later came to know). I have to say that I quite liked the Select even though it is not at all Laphroaig-like. It has a clean, linear profile, a hint of peat, and the wood treatment, mongrel-like though it may be, seems to work. In fact the Select comes across as an elegant whisky with character. As far as I’m concerned, if non-peat distilleries can make a peated whisky or two without criticism, why can’t we indulge an Islay distillery making a non-peated or relatively less peaty whisky? And Laphroaig isn’t the only one because I seem to recall seeing a non-peated whisky made by Caol Ila.